Hello there and welcome to a new week of Clearly Besotted Teasers for the June release, which will be out on the 5th. Oh my word, this release is so cute! I know you are going to love it. My card today uses the super cute Looking Up set, along with the matching dies. Aren't these flamingos just adorable? I decided to make a new baby card for my sample today. I started off by stamping the flamingos, colouring them with Copic Markers and then I cut them out with the matching dies. I then got to work on my little scene. I took some white cardstock and cut this in to a rectangle frame using the SSS Stitched Rectangle dies. I then took a piece of light blue cardstock and added this to a white A2 card base. I stamped the sentiment, from the Many Mini messages set on to this using black ink. I then took a piece of green cardstock and cut this using one of the ME Grassy Trio dies and popped this in front of the sky piece. I took a piece of slightly darker blue cardstock and cut this using one of the ME Landscape Trio dies and popped this in front of the grass to make water. The frame was added on top (with foam tape) and then the flamingos, popped up with more foam, were added to the centre. I finished off my adding some Pico Embellisher to the beaks to give a little shine. COPIC MARKERS: Flamingo bodies: RV14, RV13, RV42. Flamingo legs: R35, R43. Flamingo beaks: E01, YR00, RV43, N8, N7, N6. Thank you so much for visiting me today. 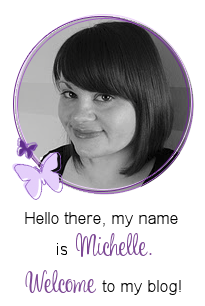 Please pop over to see Stephanie, who will have some amazing cards to share, along with links to all the DT sharing today. 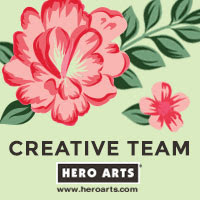 For this release, we are welcoming back the amazing Jo Nevill and Jen Nelson as our Guest Designers. Please go and show them some love! See you tomorrow for my next teaser. Just a real painting! Very nice! Beautiful card. I really like your design. These flamingoes are so sweet. 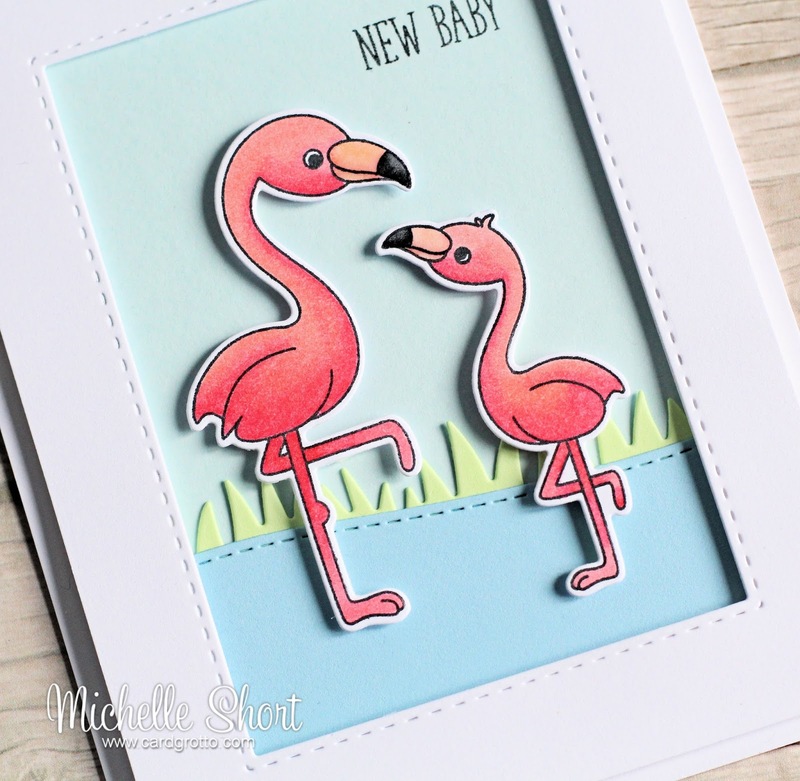 What a gorgeous card - Love those super cute flamingos! I'm waiting your new video for the June release!!! 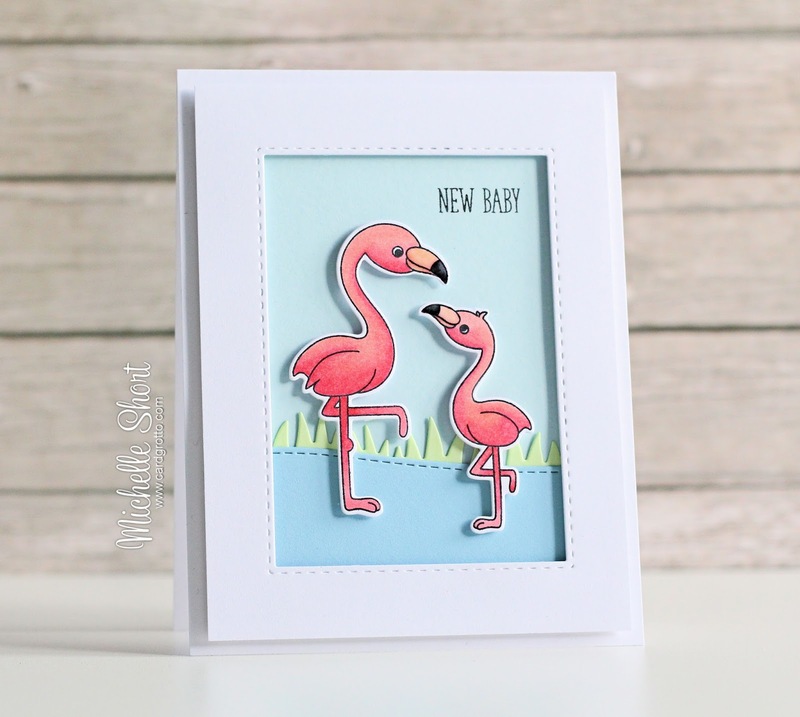 As soon as I saw this card you made me want these stamps, I love the flamingoes so much, perfect for a new baby. You always come up with such fabulous designs. Well done and I cant wait to see rest and the video of course. This is super cute and so perfect for a new baby! Holy flamingo, those are so stinkin cute!